Card Worthy: Day 2 of Sneak Peeps! Day 2 of Sneak Peeps! We're getting closer to the March release being available at Taylored Expressions and one year of Whimsical Wishes!! You'll be seeing a few of our favourite 'peeps' today if you hop along with the Taylored Expressions Baker's Dozen. It's Day 2 of sneaks and I'm showing you some of the sweet images from the newest Whimsical Wishes set, which is called Favorite Peeps. 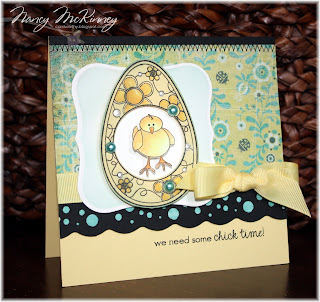 I've used the nestie-friendly egg image stamped on PTI's lemon tart cardstock and highlighted with copics, half pearls and liquid pearl. My little guy (who started out as a duck in this set) is coloured with copics, trimmed and popped up higher than the egg frame, which is also popped up. Lots of layers! I picked up this dotted EK Success edge punch at Michael's this week and layered the black over coordinating patterned paper. Although it's not new, I love this Basic Grey urban prairie paper. Hoping it's fresh and fun. But I didn't stop there. 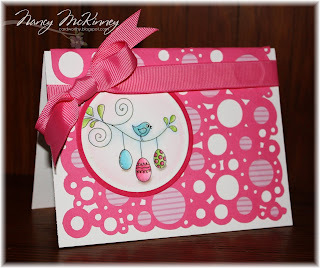 I love Easter images so I have two more cards for you. This adorable little bunny went through quite the transformation to become who he/she is today. What's better than one bunny--two! Actually as a mother of twins, I find myself purchasing things in twos and I think this card would be perfect for spring babies. The bunny twins are stamped on white along with the sentiment and then on three different patterned papers for the paper pieced layers. I created the grass using my new Silhouette SD and a download shape (Grass by Silhouette). Love the Silhouette and its possibilities!!!!! Although I couldn't get enough of certainly celery when Karen Motz first introduced me to Stampin' UP!, I haven't used it for a very long time but I think it works here. 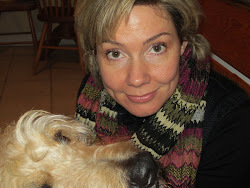 And finally, a wee birdie for bird lovers out there (Jami, Karen, Char,....). The birdie and branch are one image and then there are three tiny eggs to play with. I've used both copics and prismacolors on this image after my weekend classes at Stamping Bella with Linda and Paula. Amazing talent!! I smudged the pink egg outside of the lines but now I feel so relieved to 'get' that shading and outer glow using prismas can salvage almost anything. 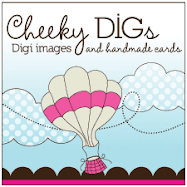 The card background is another Silhoutte download (bubble card by Valerie Foster). I punched different sized circles from s.e.i. ally's wonderland poppy parade patterned paper and adhered them behind some of the holes in the pattern. These are amazing Nancy!!! They're all super SWEET and the little eggs hanging from the branch are too cute! Adorable! Love the colouring of the first chick one! and the Best Bunnies, so cute! I LOOOOOOOOVE these Nancy! One is more amazing than the next!!! The Best Bunnies card totally makes me smile!!! Such beauties Nancy! Love the second one best...such a beautiful CAS design and such a great scene...perfect with the sentiment! Oh SOOOO cute! 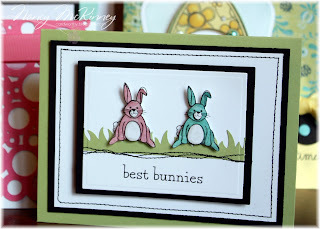 Each one is perfect and I adore the stitching in the bunnies card (SO cute!) and the last one with the eggs are perfect - sooo lovely!!! I adore your designs Nancy!!! What beautiful cards! I especially love the 'Best Bunnies' card. Oooooh...ooooh...LOVE THESE Nancy!!! Such great detail in each of them!! Oh my gosh the chick card is just toooo cute! Love thos colors and how you colored your little chickie. :) And I HAD to read what background paper you used for the last one and it turned out your created your own...OMG! LOVE THAT! Oh Nancy, these are delightful!! I love the Easter grass with the bunnies and the little bird on the branch is one of my favorites!! Very cute set - I can't wait to make more cards with it! These are all ADORABLE, Nancy! Look at that little peep. . .I just want to squeeze him! Whimsical Wishes Celebrates One Year! !